Family, friends, and fans are still mourning the sudden death of model/mom Kim Porter. She was found in her Toluca Lake home last week after reportedly battling the flu for the past few weeks. The death certificate has been completed, yet it still does not reveal the cause of death. The Blast obtained the death certificate and the cause of death is listed as "deferred" and the manner of death is "pending investigation." You'll recall, the Los Angeles County Coroner ordered an "additional investigation" into Porter's death. It was noted that she was not pregnant at the time of her death. It's reported the 47-year-old will be buried in her hometown of Columbus, Georgia this Saturday. As you know, Kim and Diddy dated off and on for 13 years and she's the mother of three of his children, Christan, Jessie, and D'Lila Combs. 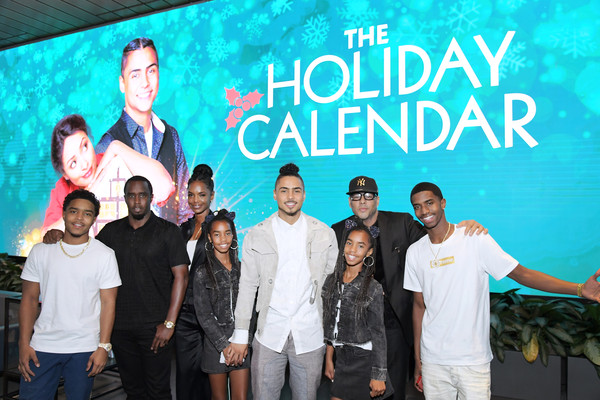 She's also the mother of actor Quincy Brown, whom she shares with singer Al B. Sure. Al made his first public appearance since her death when he showed up at the 2018 Soul Train Music Awards. Diddy was spotted with his ex-girlfriend Cassie in LA a couple days after Kim's death. I am broken...& the only thing that makes sense right now is that you were way too good for this silly world we live in. I love you so much MOMMY. Please give Mee-Maw the biggest hug and kiss for me. Diddy hosted a private memorial at his Holmby Hills estate in LA to pay tribute to his soulmate Kim. Mary J. Blige, Pharrell Williams and French Montana were reportedly in attendace. The Hip Hop mogul shared some video footage from inside the memorial. Check out the clip above. We're keeping her kids, family and friends in our prayers during this tragic time.